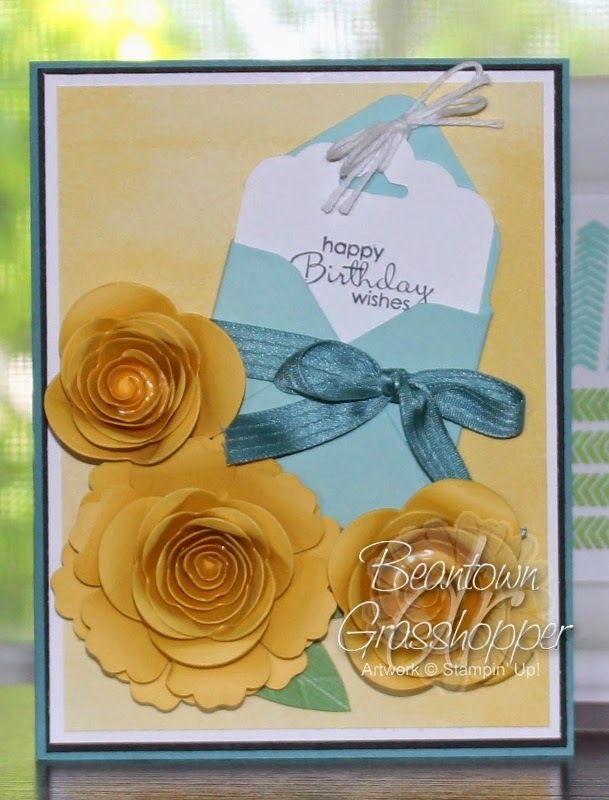 Sketch 193 was my inspiration for this card. I went with the sentiment "When my mind wanders, I usually find it somewhere thinking of you." Perfect if you are deployed or the person at home missing them. Click the banner at the top of the post to go back to the hop. With the hop focusing on tools, I took my envelope punch board out of the box and learned how to use it. This is an awesome little gadget! Of course, the tag I made was too small for the measurements listed on the board so I had to figure that out on my own. I now have 6 various sized envelopes needing to be used. I loved how easy it was to score, punch and round the corners with this gadget. I used a 3-5/8" square of Pool Party CS and started at 1-7/8" for this 2" wide tag. The VC Rocks Hop can be found HERE. 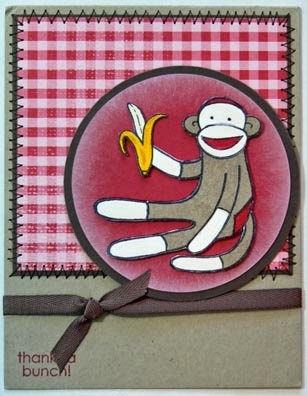 I'm sending this card made with the Sock Monkey stamp set to my cousin to thank them for a gift card. I recently sent my cousin's daughter 34 sets of stamps and designer paper, cardstock and a lot of embellishments for her new interest in stamping and paper crafting. She (daughter) made me a card from what I sent and included a $15 gift card to Taco Bell and a school picture.